I almost guarantee ssj4 colour wont change as its just the super attack animation. Where did you read the rumour about the next arc and what did it say? It's a tweet by Geekdom101 saying that the next arc will be very fanservicey. As Geekdom notes: You know me, you know this by now my sources are totally legit, I don't do fake news, you can trust me and what not, very legit. Could riding on Shenron be his winning animation? That looks more like his intro, the way base Goku comes in on his cloud. 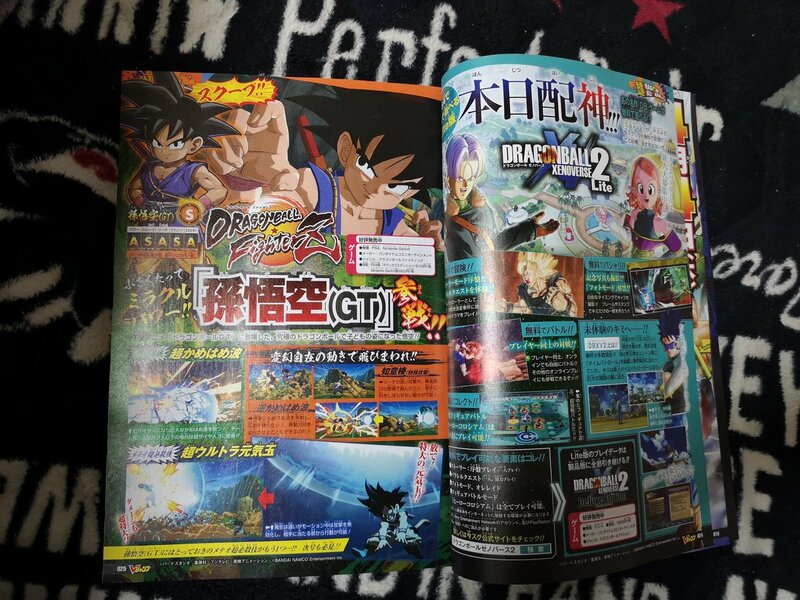 So is GT Goku getting paired with GT Vegeta or GT Pan? Cuz I really want Pan so I can team her up Gohan and Videl. Can someone explain what the lower portion of that screenshot is about? No skins have been announced for Kid Goku, right? This is begging for a Gohan and Kame Sennin skin. They could even include the Saiyan armor from Minus. Better than I expected, but still disappointing and still a wasted slot. If they started pre prod as soon as we believe then it's frankly impossible for them do be following a monthly manga. What are you suggesting by this? That they'll put in a lot of filler? It's true it's all true!